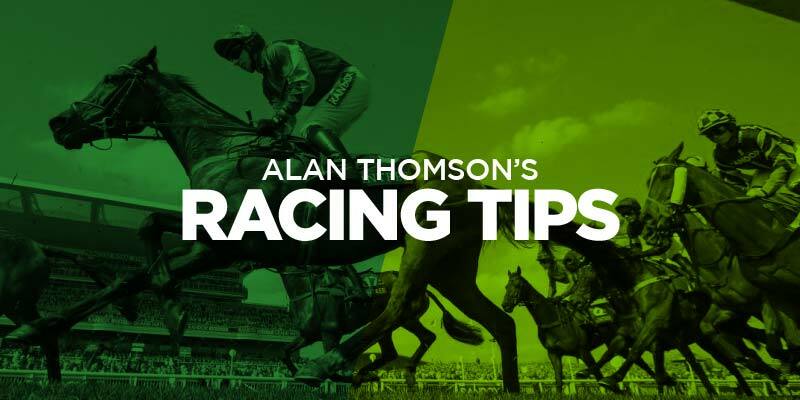 TAKINGRISKS provided a 25-1 winner of the Scottish Grand National yesterday with 5-1 favourite Vintage Clouds falling away over the final fences to finish sixth. After the excitement of the Ayr showpiece it's back to normal business with Sunday racing from Dundalk, Stratford, Tramore and Wincanoton. Alan will be back with Monday tips, and in the meantime feel free to post your Sunday picks. The track is the key to this horse today. Well suited to front runners which is what Its all a yark is. As soon as i knew she was entered here it caught my eye and looking closely at the opposition i have made it a nap stake. I see her making all with the Skelton horse chasing her home. Good to see you back hibee..
Its all a lark £200 win 9-4 PP. All other bookmakers 2-1. Bet365 match new customers first deposit up to £100. Open as many accounts as you can using friends and family, get them to put as much as YOU can afford onto the accounts. Put all of it on hibees tip or use hibbees horse as a staple for a double or treble etc. and bet different combos/stakes. If it wins you are laughing and if it doesnt you will have all the money refunded in free bets which is money you would have spent on gambling anyway which makes this proposition an enticing one. As for hibbees tip the trainer puts his claimer daughter on which negates most of a penalty for a 5 length win.. which is enough to convince me to go big considering I have 2 people willing to open me an account. BoL. Hibee1 do you double your bet for a nap stake? I have seen you do a nap-nb stake also is this a treble stake? Thanks if you can reply. Yes my nap bet is a double stake. My nap/nb is 4x my stake. You wont see many nap/nb stakes from me, i have had 2 this year which both won at 10/3 and 11/4 if i remember correctly. I average about 5 nap/nb bets a year. I forgot to mention earlier a horse i backed at Wexford just after Cheltenham that i was given a tip for from someone in Willie Mullins’ yard runs today at Tramore. He has a good bit of ability, he does show it at home but has failed to show it where it matters so far. I would imagine Willie and the team will have him ready today. Odds of 13/8 do not appeal to me, my rule of thumb is never back a horse under 2/1 so i wont be backing him, but i will be watching with interest. presume you are talking about ONTHEROPES? It has to be ontheropes looking at mullins horses at trammore it was 13-8 at some point today. Morning All . Well done yesterdays winners. Great day yesterday myself with my one tip on here Solar Impulse winning easy at 9/2. Lot on it at the course but only paid £2.60 on the course tote, so our 9/2 was good.Also had the f/c in the same race which paid over £50 To the pound so picked up a tidy amount there. 2.40 Stratford magic river@15/2 e/w. Top of the ‘mornin’ campers, good day yesterday a couple of nice outsiders went it made my day very profitable. Not much doing today guys, small fields very short priced ‘jollys’ NO VALUE. Like the look of Gentleman Jon ‘busstop’ 22/1 with SKYBET paying 4. Gone through all the cards, picked 6 for lucky63 E/W plus singles. 2.25 W Gentleman Jon 22/1. SKY/ PADDY paying 4. 2.40 S Magic River 7/1 12’s last night. 5.20 D Heir of Excitement 12/1 SKY / PADDY paying 4. 5.35 T More Lies Ahead 6/1 14’s last night. Happy punting, be lucky play safe. BOOM get in my cracking start 20/1. Top tipping coop192 20-1 winner to start off the day 👍🏾😁 brill!! Hi my dads got a runner today not saying it’s a sure thing but has a good chance RED GERRY 4.45 good luck. 450s – I advised LAC SACRE to place LTO, he went on to win at double figures and by a double figure margin. A 7lb penalty over 3 more furlongs on better ground than he seems to do most of his running on may be enough reason to lay, but even at 15/8 I will not be abandoning a horse who won by 12 lengths, especially as those in behind had recent decent form to their names, DAY OF ROSES 13/2 would be the danger for me. When did hibee come back?? paper says LARKY, markets suggesting GOLDY, hopefully the fact coleman has already had a winner here and brennan may be here for lac sacre.. speaks for us, suprising drift but been done many times before. well it was only tipped by 1 person, he has been remarkably successful and has a lot of followers so it appeared popular..
i watch the markets all day and i was able to get on the winner which covered all of my outlays, they completely left it alone, and then when LARKY was drifting, they backed in false favs and with the duo already having a winner on the card, and me being up a fair bit, slinging 20 on the winner was a no brainer. well done for tipping it though, if you only had expressed your thoughts a bit earlier it may have saved some some money. Give credit to him because hibee1 put me on to a winner in Ireland at 13/8 (won @ 6/4sp) so on the two bets I did make money and I for one will take a 13/8 winner and a loser every day.